No matter what faith tradition you embrace, there is a core value of peace. 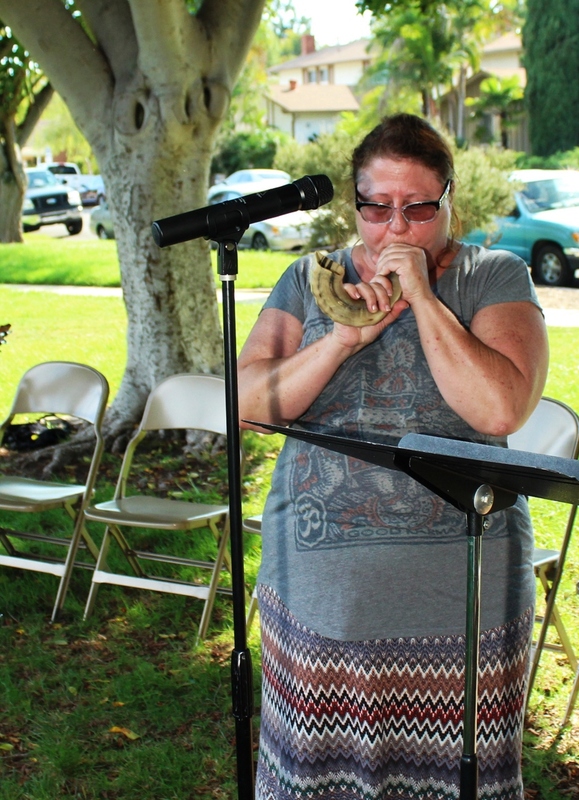 That’s what the Interfaith Council of La Mesa wants people to take away from their third annual International Day of Peace event, this year with the theme “Building Blocks of Peace.” The event will take place from 3:30-5 p.m. on Sunday, Sept. 25, at Aztec Park. The Christian church is just one of many religions represented both in the council and in the Day of Peace event. There will also be words of peace from the Baha’i, Muslim, Hindu and Jewish faiths. St. Martin of Tours Catholic Church, the Buddhist Temple of San Diego and the Franciscan Peace Connection are all also involved. “Doing this event has enriched the interfaith part of the Interfaith Council,” Littlejohn explained, saying the multiple congregations bring “authenticity and integrity” to the council’s mission. The Interfaith Council began in 2011 by former mayor Art Madrid, who wanted to engage the 42 different congregations in La Mesa to cooperate to help the community – to “better lives through a faith-based effort,” as their vision states. “We could bring together all of our efforts,” said Anne Pacheco of St. Martin of Tours. Those efforts have included a summer school lunch program, a food assistance resource brochure for the San Diego East County region, and several Peace Day events. The International Day of Peace was established by the United Nations (UN) in 1981 to “commemorate and strengthen the ideals of peace both within and among all nations and peoples,” according to the original UN resolution. The UN states their mission for Peace Day is to provide a globally shared date for all humanity to commit to peace above all differences and to build a culture of peace. “It was meant to be a global ceasefire for one day,” said LaVern Olberding of the Franciscan Peace Connection. Olberding detailed that the idea was if people could stop fighting and come together for one day, it might spark the realization that they could do that for an even longer period of time. “(They might) ask ‘why are we fighting against people who are a part of us as humanity,’” Olberding said. In La Mesa, the Day of Peace event will include music, prayer, words of peace and even a dance from the San Diego nonprofit Help Kids Around the World. Other nonprofits and churches from around the county will have tables set up to share resources of compassion and outreach opportunities. The word is getting out – the amount of organizations represented has almost doubled from last year. Multiple crafts, such as peace pinwheels and paper chains, will be available for adults and crafts alike. The council is asking all attendees to wear blue, the United Nation’s color of choice, symbolizing calmness, security, peace and tranquility. Blue will show up in the décor of the day, and also in special stoles worn by each of the speakers. The International Day of Peace will be from 3:30-5 p.m. on Sept. 25 at the Aztec Park in La Mesa. Attendees are encouraged to bring their own blankets or chairs. Overflow parking will be available at the Church of Jesus Christ of Latter Day Saints at 5555 Aztec Drive. For more information, visit interfaithlamesa.org. —Joyell Nevins is a freelance writer who can be reached at joyellc@gmail.com. Find her blog Small World, Big God at swbgblog.wordpress.com.